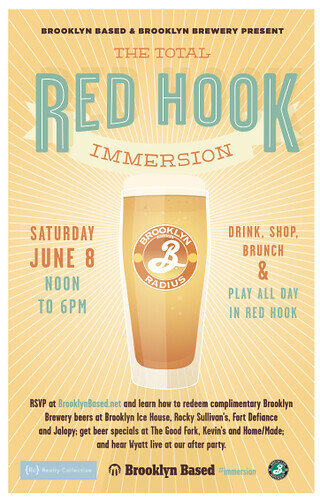 Starting at noon, Brooklyn Based is handing out 500 *free* Immersion cards at Brooklyn Ice House or Rocky Sullivan's. Then you walk around the neighborhood, drinking beers, eating stuff, basically having an altogether awesome Saturday afternoon, but uploading Instagram photos and checking Twitter for random giveaways. You can win things like a private tour of Brooklyn Winery or a class at Pioneer Works. Finally, Wyatt is going on stage at 5pm for a free show at Jalopy Theater. Click here for more information on what Brooklyn Based has in store, and here for a map of all the participating locations.